The perfect photo would have had a crow sitting on the scarecrow, but it was not to be. However, there were birds everywhere- just not in my photo! It started a year ago on a road trip to Kansas to visit Lonnie’s father. 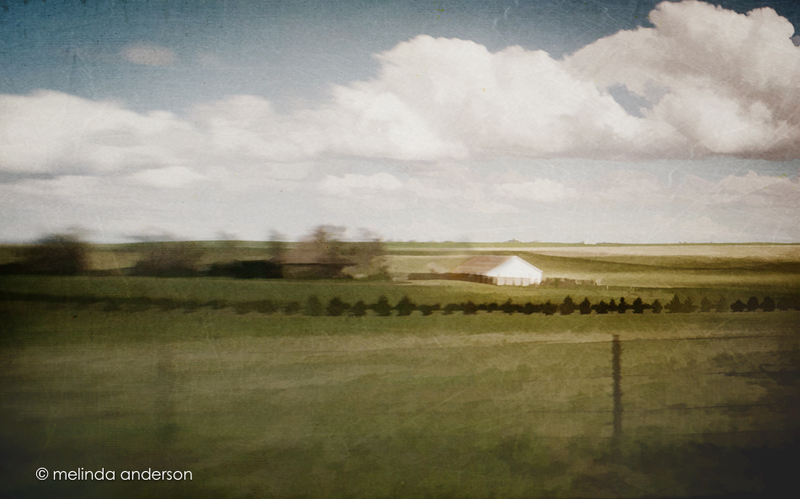 I became obsessed with the seemingly endless flat horizons of Kansas, broken only by the occasional barn or silo. There is a beauty in this stark landscape with the wheat fields, the barb wire fences, and the oddly industrial look of modern farms. I took photo after photo with my iPhone (usually through the window as we drove along), and I had fun editing them right there in the car. May’s road trip was melancholy, however, as we drove across the plains knowing that Lonnie’s dad had just died. This time I took photos with my Nikon often with the lensbaby attached- mostly from the car at 70mph. I was still obsessed with the landscape, but I also wondered each time I clicked the shutter when we would be driving these roads again. In my AAUW photography group, we are asked to commit to a long term project of some sort. 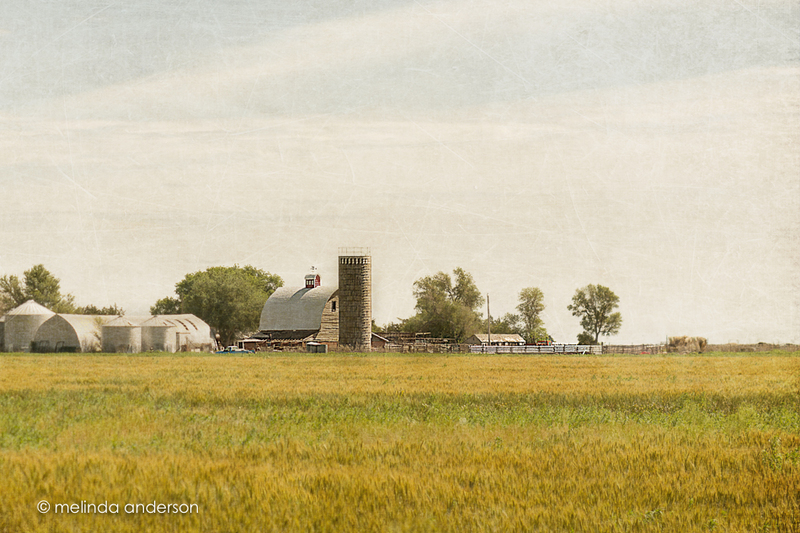 After our trip a year ago, I decided to create a Heartland series for the assignment. When I traveled to Yellowstone last month, I took these photos with me on a little external drive to work on; I was planning to make a photo book to take to my photography group. I worked on it during a couple evenings after the kids were in bed, but I could never get the book to save- it would always say it was still uploading! I didn’t have the time or energy for a frustrating computer project, so I decided to abandon it until I came home. Once home, I sat down to work on the project again, only to discover that, no matter what I did, Lightroom would not recognize the photos. I know all about moving photos from within Lightroom and have never had an issue with it until NOW. I could see the photos on my drive and could open them from Photoshop, but they were invisible to Lightroom. There were several attempts over period of days- but then I abandoned the project once more. I sat down one last time to try again yesterday- and there they were! Right there in the Lightroom catalog- not grayed out- not missing, just THERE! I may or may not print them. I’m a bit sick of them right now- so much for the obsession! So I decided that they will at least appear on the blog as a slideshow before they disappear again. Many of these photos have already appeared on this blog- but here they are again- all together! Editing notes: to bring some cohesiveness to the project I re-edited all the images and added textures (usually scratchy ones). 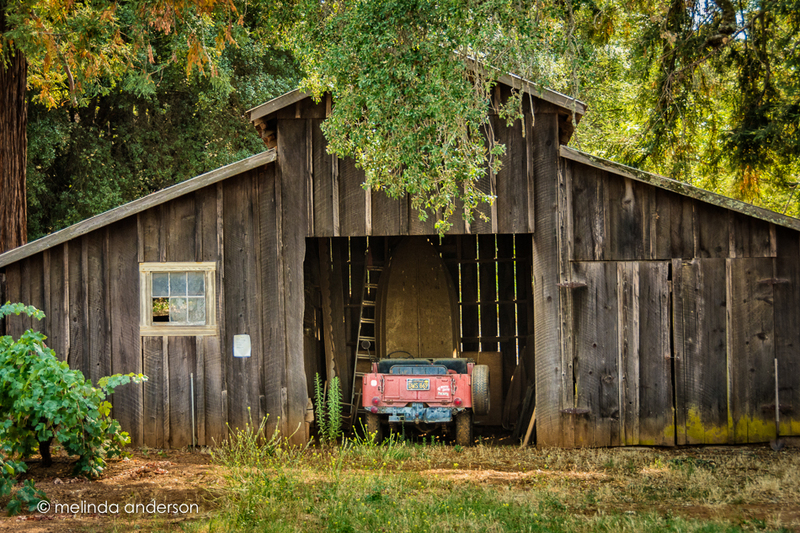 We spotted this photo op on our drive through the wine country. There was another photographer snapping away as we drove by, so we returned later in the day on our way back. Thank you, Jerry, for stopping the car! I bet the light in that barn is fabulous- I love how it shines through the boards. 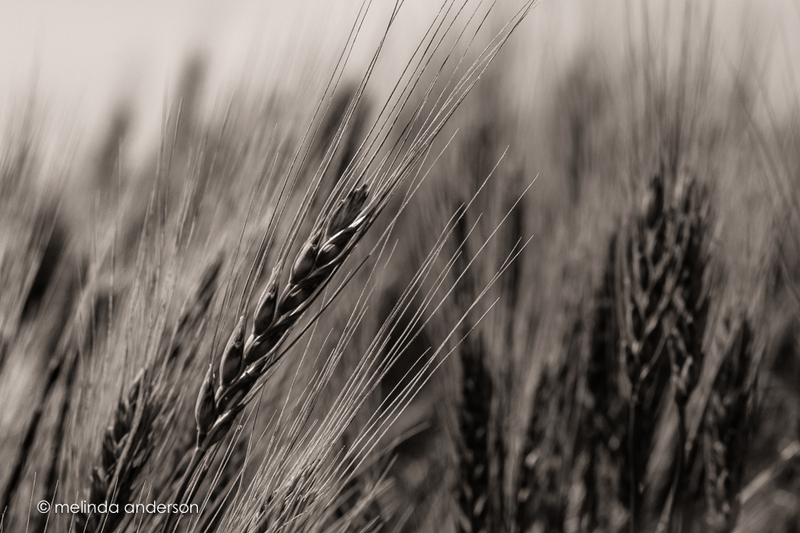 The drive across Kansas gave me an opportunity for an up close and personal view of a wheat field. My husband must have Kansas in his blood- I think the color version is his favorite photo from the trip. Both were taken with the Lensbaby Edge 80. Driving across western Kansas yesterday, I snapped photos from the car as we went along, and a few are decent. But Lonnie spotted this farm along the way and pulled off onto a country road so I could take my time and the photos would have a good chance of being in focus. 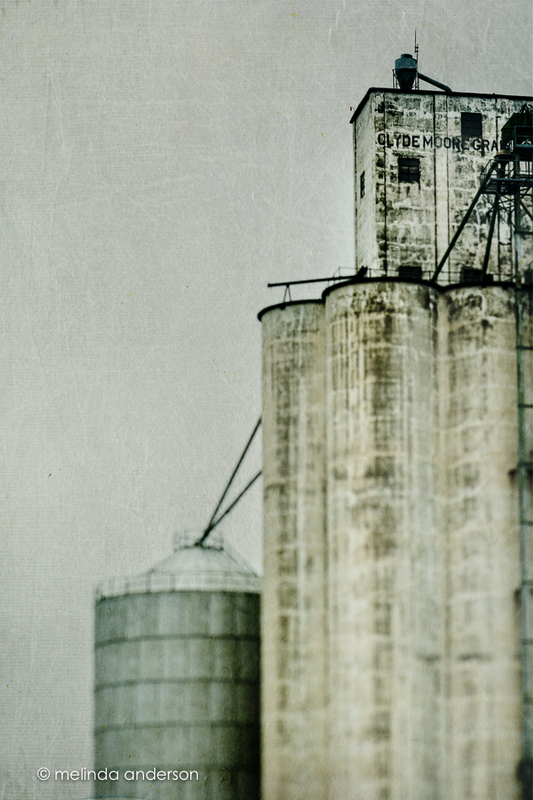 I love the barn and silo! I know I could never have been able to hack it as a country girl, but I love rural scenes. I’ve been keeping my Lensbaby on my camera all the time, trying to get as much practice as possible. When we are on a long road trip, we almost never stop for photos, so it has become my habit to take photos with my phone through the window as we drive along. On this trip, I started using my big camera instead of my iPhone to take these photos. One of the assignments in my Lensbaby class was to take photos of objects that are moving (using manual focus, the only way you CAN focus a lensbaby). Although the subjects of my photos weren’t moving, the car certainly was! As we drove through eastern Colorado, I used the sweet35 optic to capture the scenery along the way. My favorite photo is this landscape (I love the light), which is NOT in sharp focus. I used Topaz Simplify and some added textures to give it a painterly feel. 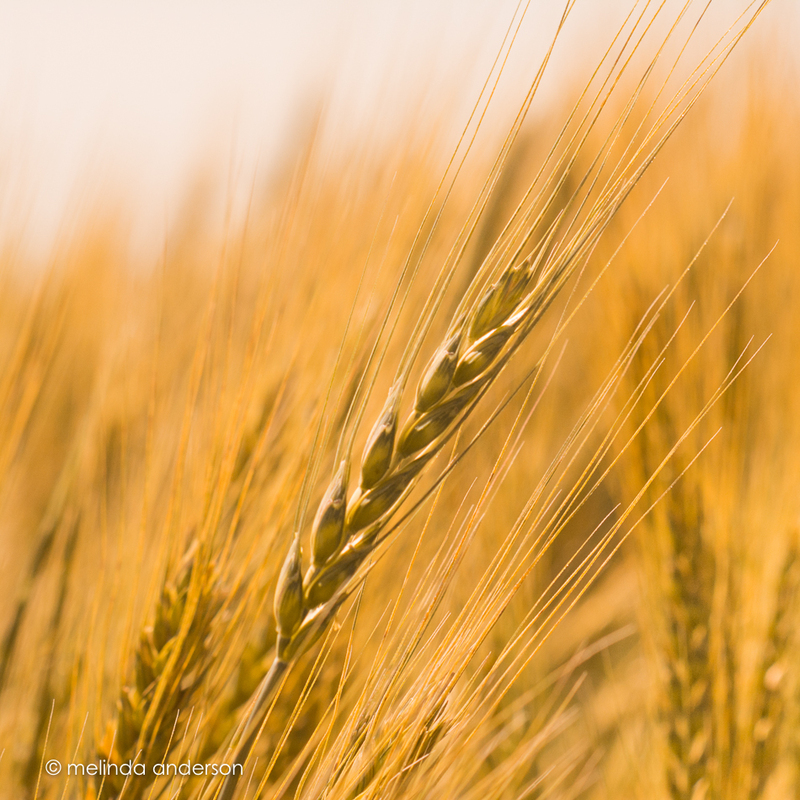 The next day, as we drove through the plains of western Kansas, I used the Edge 80 optic on my lensbaby, which I found fairly easy to focus at 60 plus mph. The sky was very overcast and eventually gave way to heavy rain as we drove along. 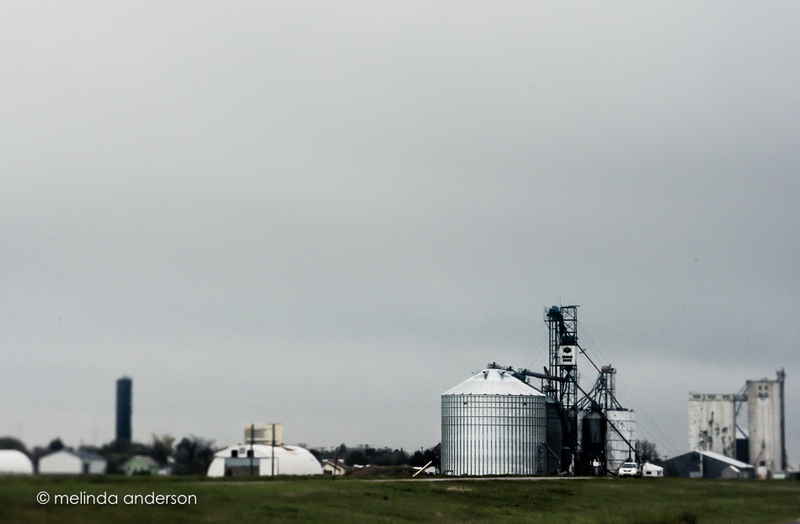 Lonnie knows I have a bit of an obsession with photographing grain silos and farms, so he actually took an exit so that I could take photographs of this one from the road instead of from a moving car!